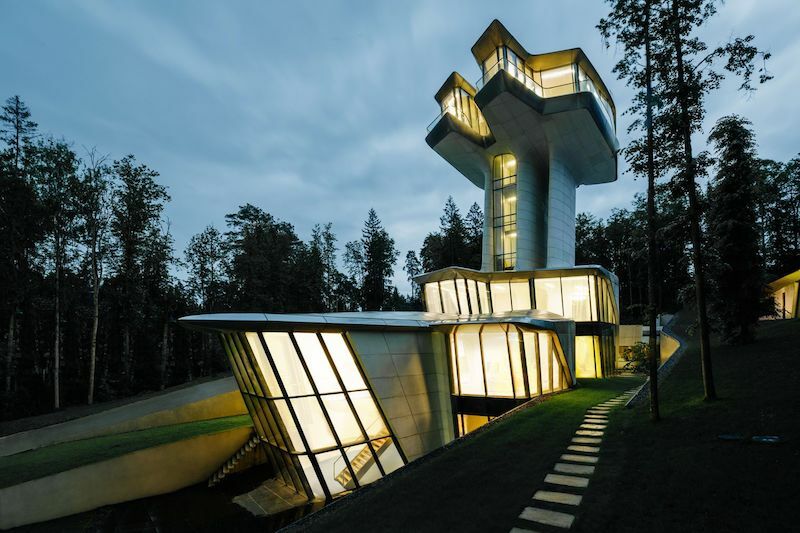 Capital Hill Residence, the only private home by the late Zaha Hadid, is finally complete. Designed for international real estate developer Vladislav Doronin, who is the chairman and CEO of OKO Group as well as of luxury hotel group Aman Resorts, the project came about a decade ago when the two met in London. Initially, Doronin had wanted to build in Moscow but was unable to secure construction permits. So the project moved to Barvikha Forest, right outside Moscow. When Hadid asked the Russian mogul to describe what he envisioned, he told her, “I want to wake up in the morning and I want to just see blue skies. 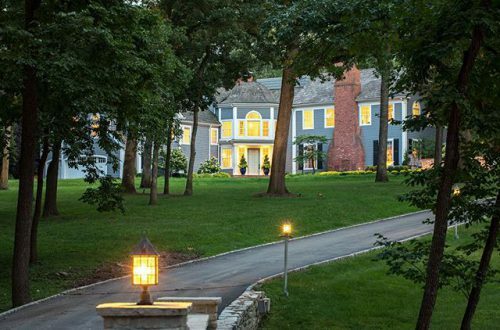 I don’t want to see any neighbors, and I want to feel free.” She responded, “Do you realize you have to be above the trees?” Then the British-Iraqi architect sketched something on a napkin and that was that. 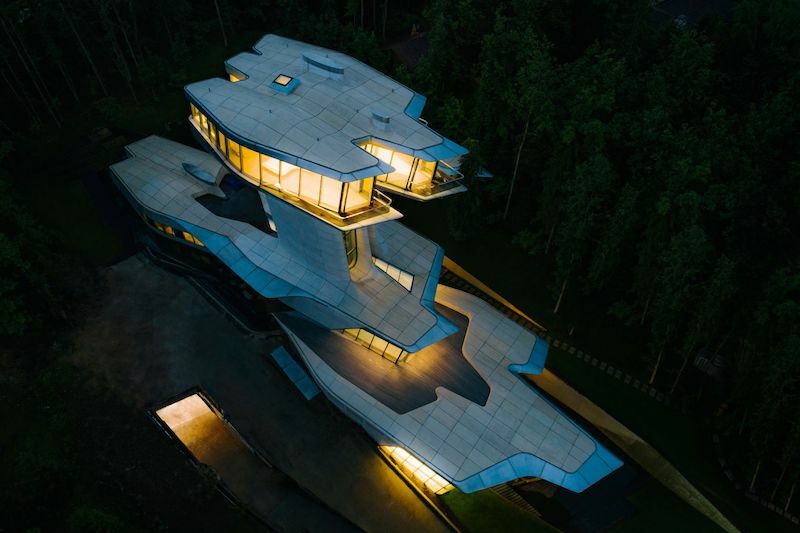 The spaceship-like abode features two main components: the main home, which carves into a slope, and a volume containing the master suite that appears to float above the tree canopy 22 meters, or 72 feet, above the ground. A slender tower props it up, with three floors embedding themselves into the forest.